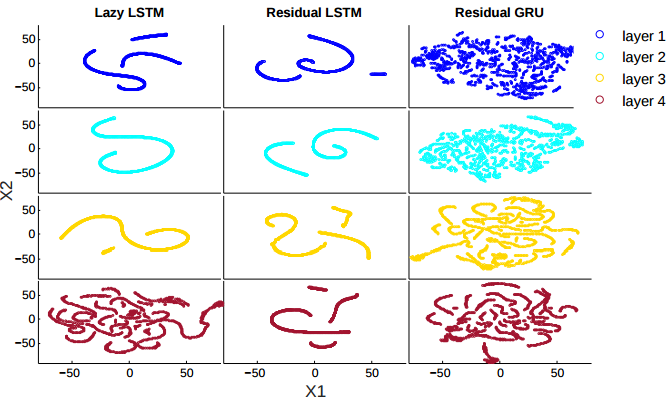 LSTM relies on greatpositive or negative cell values of some units to represent information. 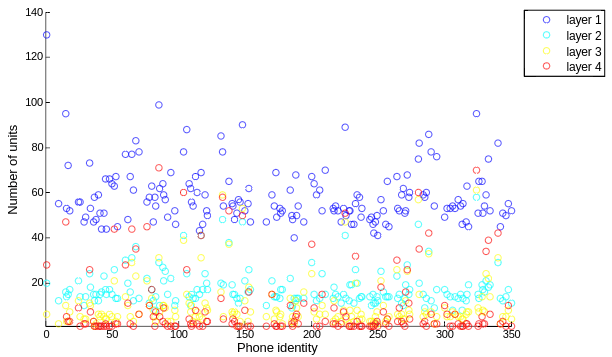 GRU relies on the contrast among cell values of different units to encode information. 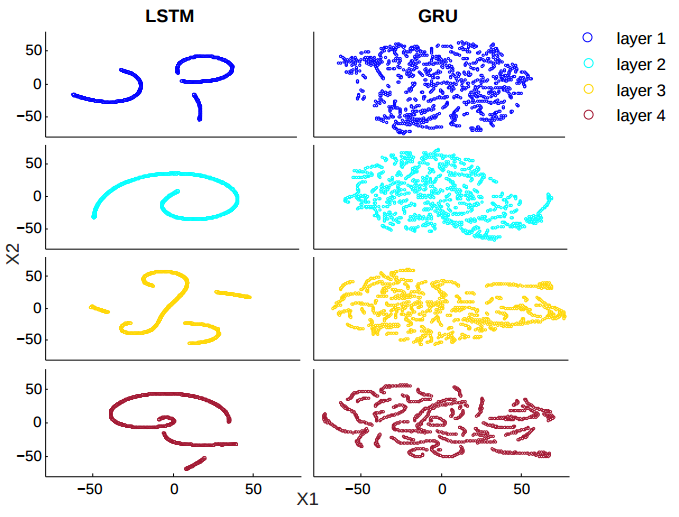 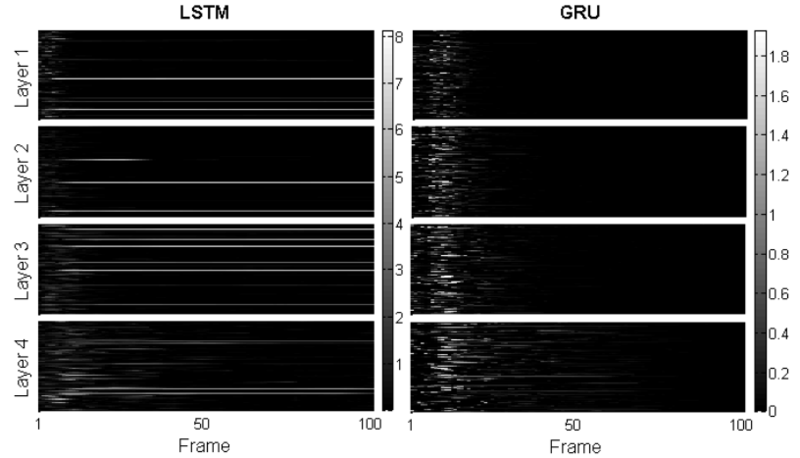 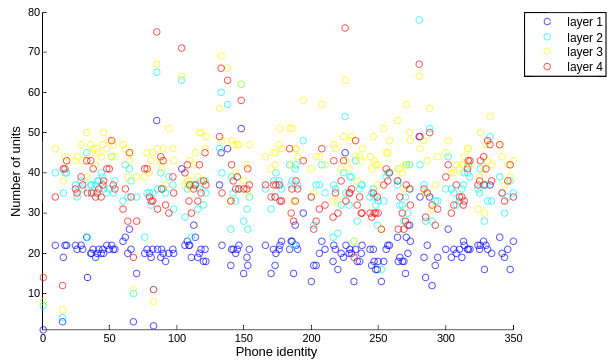 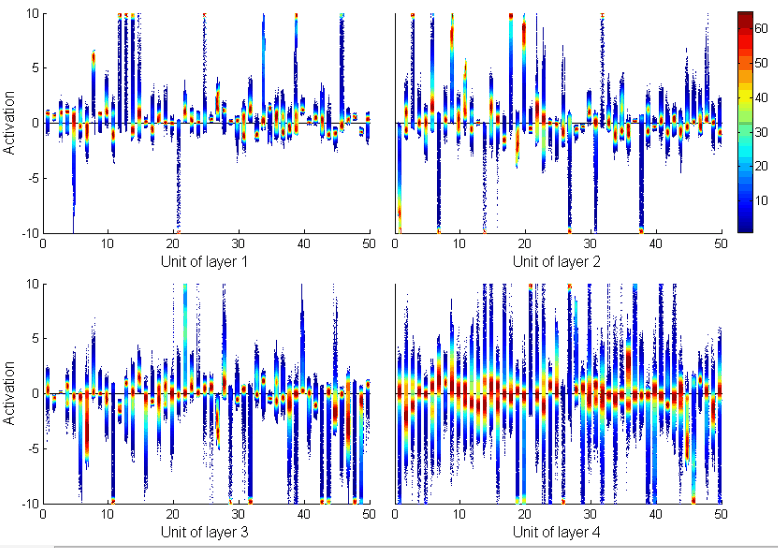 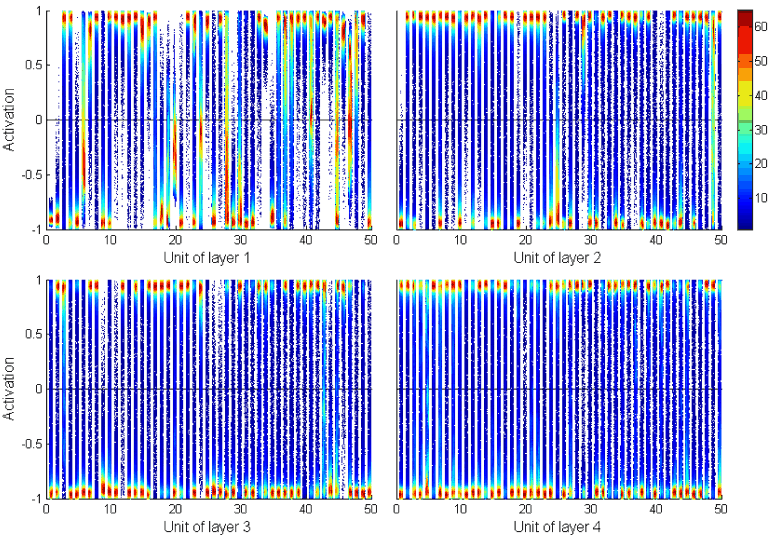 This difference in activationpatterns suggests that information in GRU is more distributed than in LSTM.